Toronto, Ontario--(Newsfile Corp. - April 8, 2019) - Cordoba Minerals Corp. (TSXV: CDB) (OTCQX: CDBMF) ("Cordoba" or the "Company") today provides an update on exploration activities in Colombia and details of a planned diamond drilling program at the Alacran copper-gold deposit, located within the 100%-owned San Matias copper-gold project. 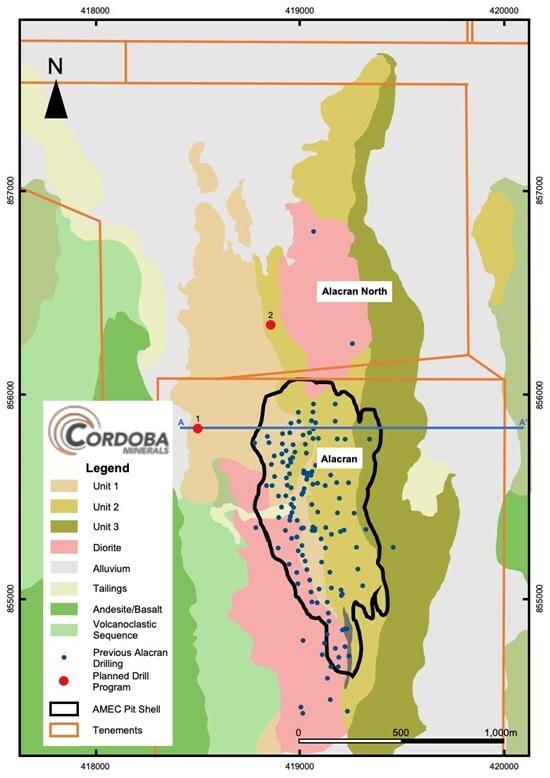 Following an extensive fieldwork program, Cordoba has prioritized two exploration targets at Alacran to be tested with an initial 1,000-metre diamond drill program: 1) the potential underlying, copper-gold porphyry source of the Alacran deposit (the "Alacran Porphyry Target"); and 2) the possible northern extension of the Alacran deposit (the "Alacran Northern Extension Target"). Based on the results obtained, the drill program may be increased to 2,000 metres. Cordoba has identified two late-mineral intrusive breccia phases at Alacran which truncate and rework the deposit (refer to Cordoba's October 30, 2018 news release). Notably, the dacitic breccia phase contains clasts of porphyry-style mineralization with potassic alteration - a potential indication of an underlying porphyry source. Cordoba will test the Alacran Porphyry Target with one deep drill hole (refer to collar #1 in Figure 1). "We continue to be encouraged by our exploration at Alacran and San Matias, and we are keen to re-start drilling activities in Colombia," stated Eric Finlayson, President and CEO of Cordoba. "We have generated high-quality drill targets with the potential to add new mineralization to supplement the current Alacran mineral resources. In addition, we are very encouraged by fieldwork at the Willian target, which has the potential to yield a completely new zone of copper-gold mineralization." Figure 1: Map showing the two planned drill holes (red dots) at Alacran. 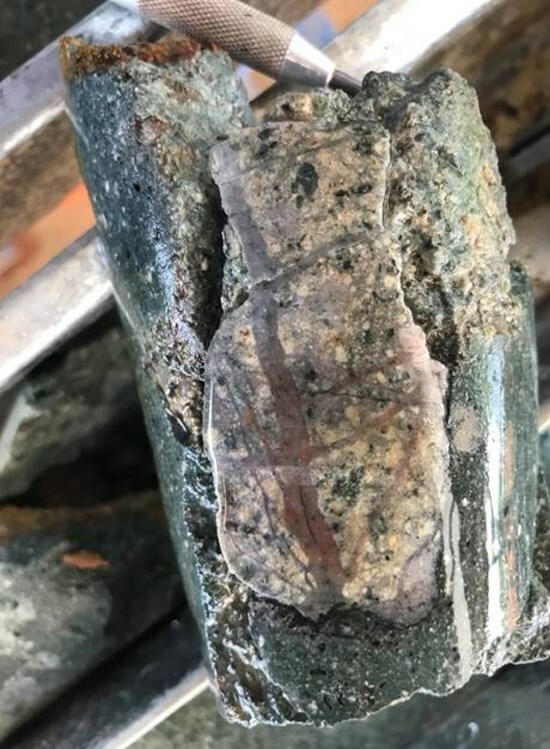 Diamond drilling will initially target the potential underlying porphyry source of the Alacran replacement copper-gold deposit with a single, near-vertical hole drilled to a depth of approximately 700 metres. The hole will be located approximately 300 metres west of the deposit. 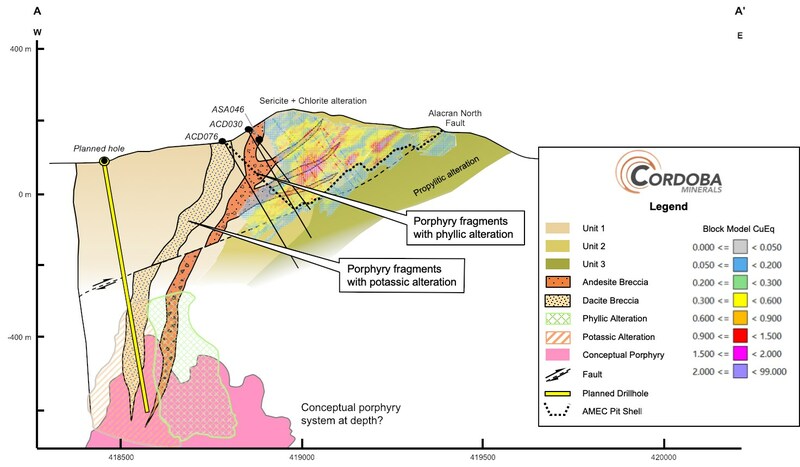 The target was identified through recognition of late-mineral andesitic and dacitic breccias containing mineralized porphyry fragments (refer to Figures 2 and 3). The breccias were emplaced along the same structures that introduced the Alacran mineralizing fluids. Figure 2: Schematic cross-section showing conceptual porphyry copper-gold target at Alacran and the planned drill hole. Figure 3: Dacite breccia containing potassic altered, stockwork porphyry fragment. The next target of diamond drilling will be the Alacran Northern Extension identified by elevated levels of pathfinder metals in both soil and stream sediment samples. These anomalies are interpreted to reflect Alacran-style copper-gold mineralization largely concealed below a post-mineralization diorite sill. 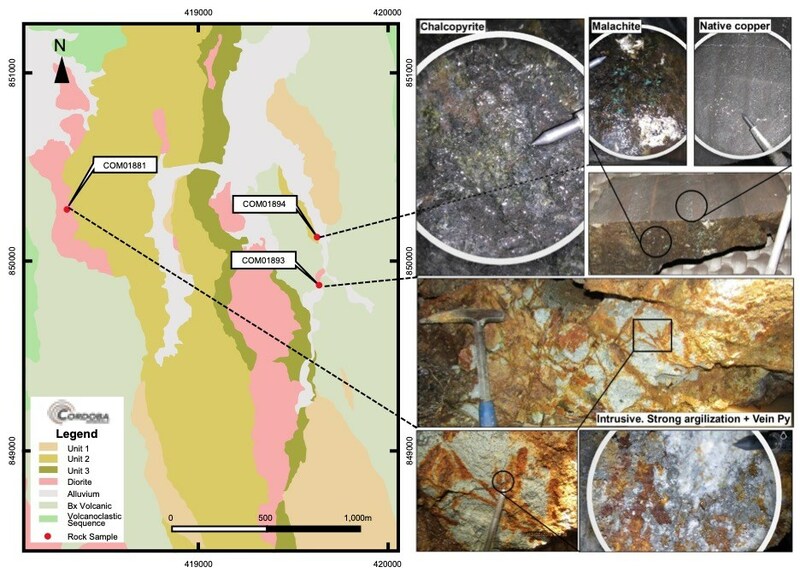 There also is float of mineralized breccias and intrusives eroded from this same area (see Figure 4). Figure 4: Float samples of mineralized breccia and intrusive from the Alacran Northern Extension area. Recent fieldwork has confirmed the prospectivity of the Willian target, located along strike and six kilometres south of Alacran. Willian is hosted in similar stratigraphy to Alacran, and was previously identified as an area of interest after outcrop samples of sericite-altered crystal tuff returned assays of up to 8.95% copper (refer to Cordoba's May 2, 2018 news release). Subsequent exploration has included a program of rock and soil sampling covering an area of 2 x 2 kilometres. The Willian target has been interpreted to represent a largely concealed zone of skarn and/or replacement-style copper-gold mineralization. A large area of hydrothermal alteration with scapolite-wollastonite-garnet assemblages has been identified, including high-grade copper-bearing outcrops with supergene chalcocite in fractures. Figure 5: Map with localities of three samples taken in the Willian exploration area. The technical information in this release has been reviewed and verified by Charles N. Forster, P.Geo., a Qualified Person for the purpose of National Instrument 43-101. Mr. Forster is the Vice President Exploration for Cordoba Minerals and for High Power Exploration Inc., Cordoba Minerals' majority shareholder, and is not considered independent under National Instrument 43-101. 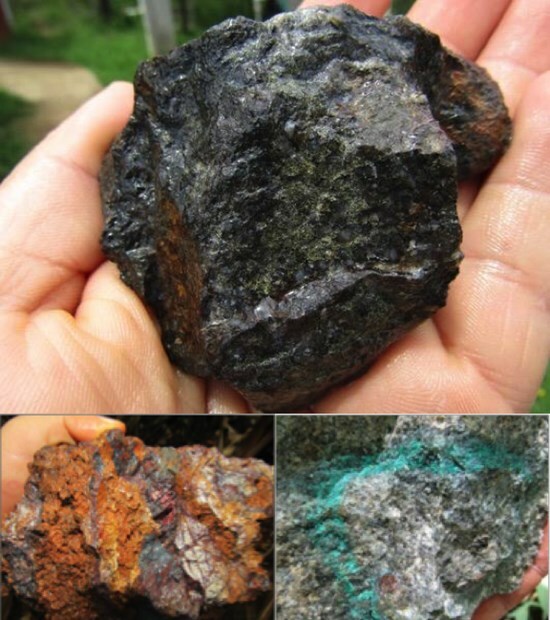 Cordoba Minerals Corp. is a mineral exploration company focused on the exploration and acquisition of copper and gold projects. Cordoba is currently exploring its 100%-owned San Matias Copper-Gold Project, which includes the advanced-stage Alacran Deposit, located in the Department of Cordoba, Colombia. Cordoba has also entered into a Joint Venture and Earn-In Agreement to explore the Perseverance porphyry copper project in Arizona, USA. For further information, please visit www.cordobaminerals.com. This news release includes "forward-looking statements" and "forward-looking information" within the meaning of Canadian securities legislation. All statements included in this news release, other than statements of historical fact, are forward-looking statements including, without limitation, that exploration will lead to the discovery of the potential porphyry source of the Alacran deposit and the possible northern extension; the exploration diamond drill program may be increased; fieldwork at Willian has identified a new exploration target; and ongoing exploration will lead to potential discovery. Forward-looking statements include predictions, projections and forecasts and are often, but not always, identified by the use of words such as "anticipate", "believe", "plan", "estimate", "expect", "potential", "target", "budget" and "intend" and statements that an event or result "may", "will", "should", "could" or "might" occur or be achieved and other similar expressions and includes the negatives thereof.